This article was originally published as a Medium post by Foondi Workshops. 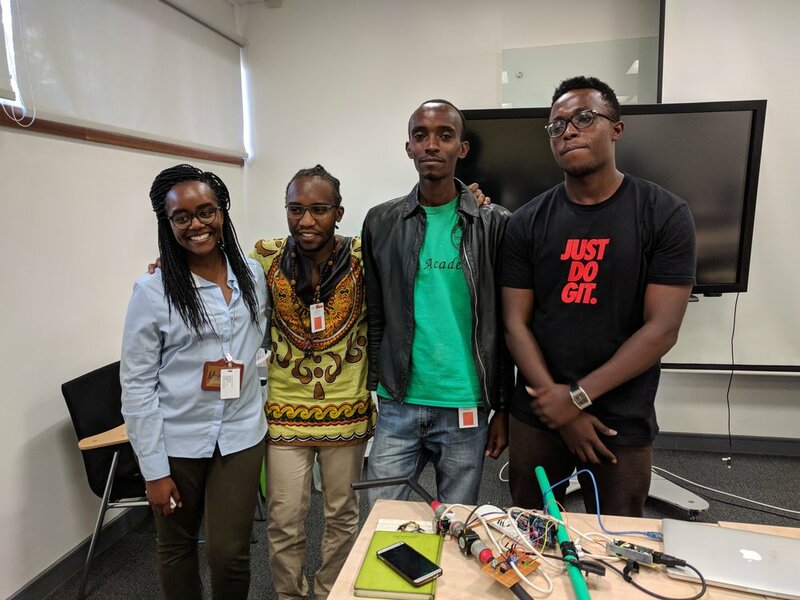 Eleven young innovators joined Foondi’s Design Thinking, AI, and the Internet of Things (IoT) Workshop, which was held from 15th - 19th January 2018, in collaboration with IBM Research Africa and The Mekatilili Program. 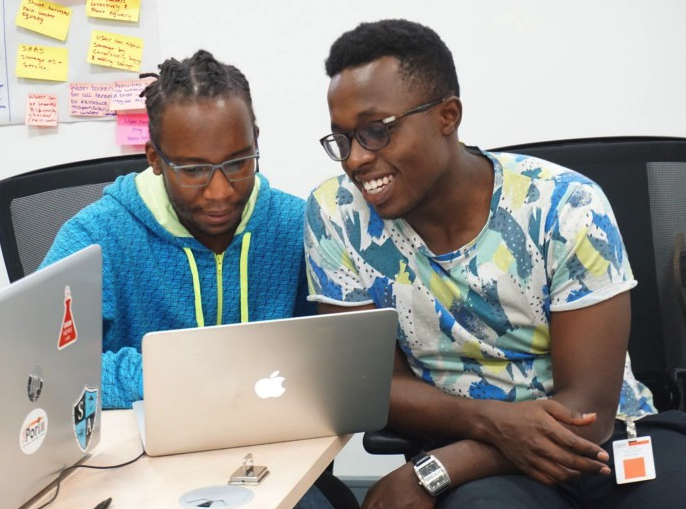 The one week-long workshop culminated in an exciting hackathon where small teams created projects to improve water security in Nairobi. 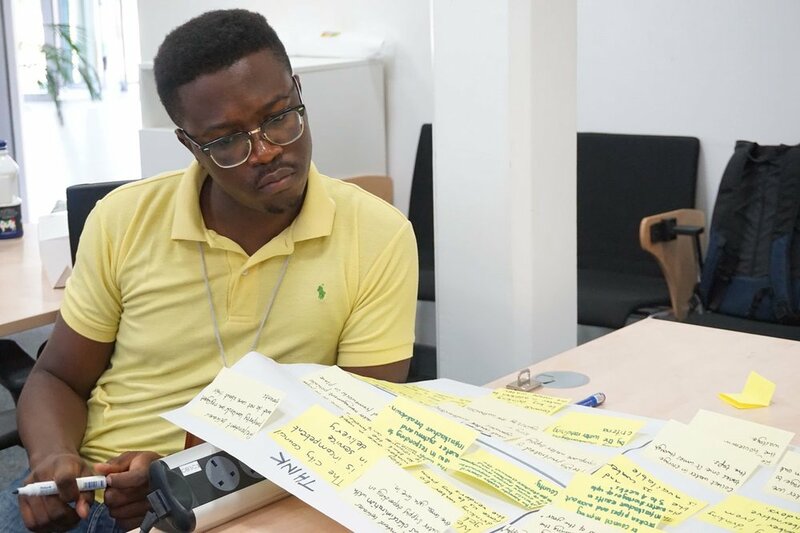 This 5 day bootcamp focused on interactive, hands-on workshops, where participants learned about the principles and use of Design Thinking, Artificial Intelligence using the IBM Watson, the Internet of Things (IoT), and Business Model generation. Following the 5-day training, the participants took part in a one day hackathon on 20th January. 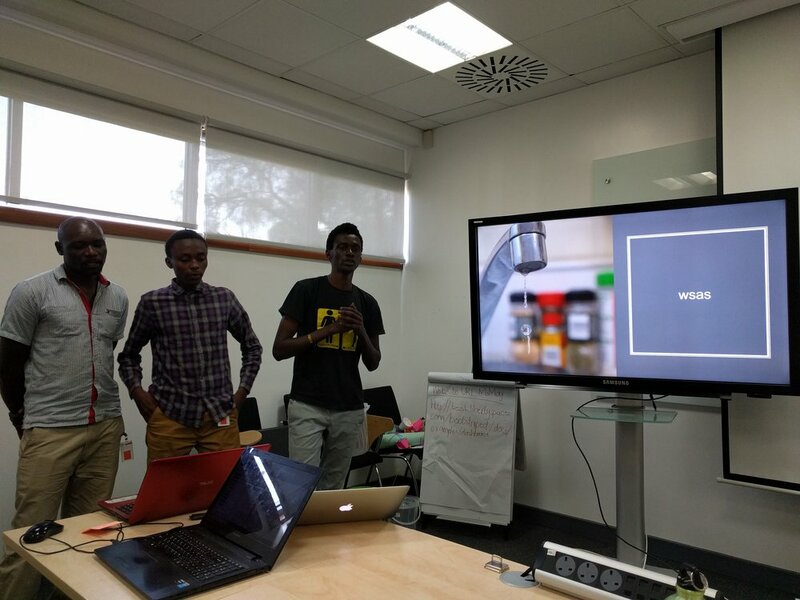 During the event, the team formed developed working prototypes aimed at redesigning innovative solutions to Water Security in Kenya using concepts of Design Thinking, AI, and IoT. Participants dived into the design process during which they practiced human-centered design by interviewing people in their problem area. After generating problem statements based on the needs of their users, they brainstormed solutions. Small teams got their ideas into the real world by making low-fidelity prototypes. Piles of clay, cardboard, bottles, and straws quickly became functional models of creative water solutions! The budding designers shared their work with the whole group to get feedback for improving future iterations. 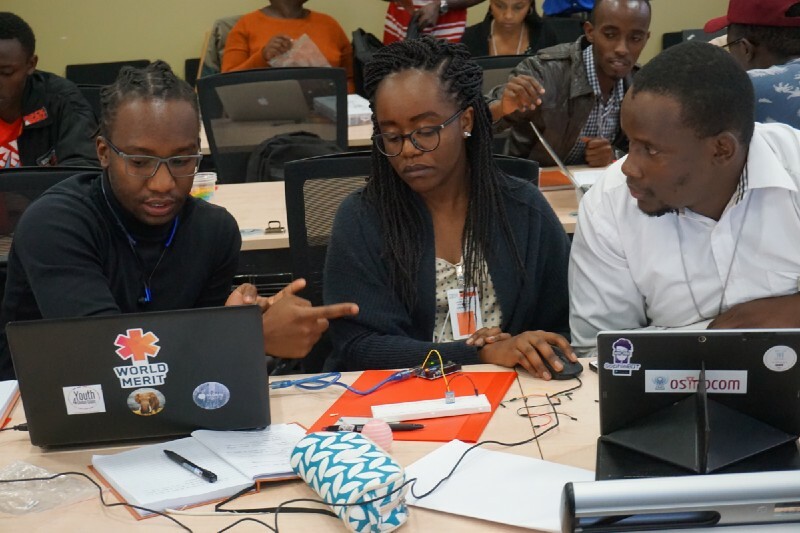 Participants practiced technical skills as well, like collecting sensor data using Arduino controllers and storing it in the cloud, then sending data from the cloud back to the Arduinos. Some participants had no electronics background at all, but by the end of the week, groups had used IBM’s Watson platform to read and display mapping data from their smart phones. 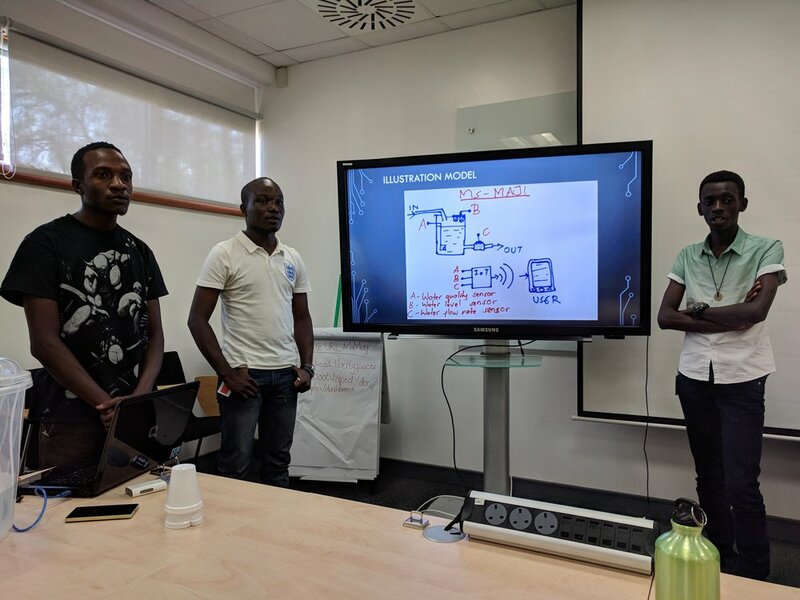 Okoa Maji: An efficient, fair method of water distribution in apartment buildings using a water management system that keeps track of users’ consumption. The system solves the storage problems in apartment complexes through the new concept of virtual water storage facilities. The target demographic is young and middle-aged working class city-dwellers between 22 and 35 years old. MSMaji: A water management system that informs the user about the amount of water left in their tank, the water’s real-time temperature, the monthly water consumption rate, and the water bill. It also provides a payment platform that can be used to pay the bill. Water Shortage Alert System (WSAS): A shortage advisory system built using components like an Arduino, an ESP8266, a servo motor, the IBM cloud platform, and the Red Node for visualizing and analysis. The system is designed to compute water consumption of each household by relating it with the volume of water in the tank. When the level of water gets below the designated level, it triggers an SMS to tenants advising them of an impending shortage and of an alternative water source.